Single origin. 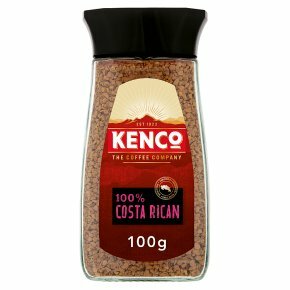 Intense and aromatic.Dark and feisty, this coffee is unique to the rich, volcanic soil and warm climate of Costa Rica. Isn't it time to take a trip to the dark side? Explore the rest of the Kenco range, from Barista Style Millicano Americano to Coffee shop style Cappuccino and Latte. Preparation: Add 1 to 2 teaspoons of coffee to your cup and add hot water, just off the boil.